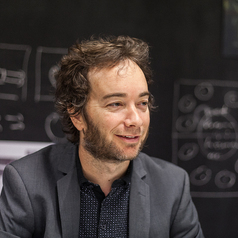 Julian is the Deputy Director of the Australian Urban Design Research Centre (AUDRC) at the University of Western Australia. His role at the AUDRC includes teaching a master’s program in urban design and conducting urban design related research and design projects. Julian has completed a PhD concerning landscape architecture in Dubai and has published five books, ‘Made in Australia: The future of Australian cities’ (with Richard Weller), ‘Take me to the River: A history of Perth’s foreshore,’ ‘Scavenging the Suburbs,’ ‘The Ghost Cities of Australia,’ and ‘Desert paradises: Surveying the landscapes of Dubai’s urban model.’ In 2014 Julian was awarded the Australian Institute of Landscape Architects WA gold medal award (in conjunction with Richard Weller) and in 2016 the Margaret Medcalf Award for research.